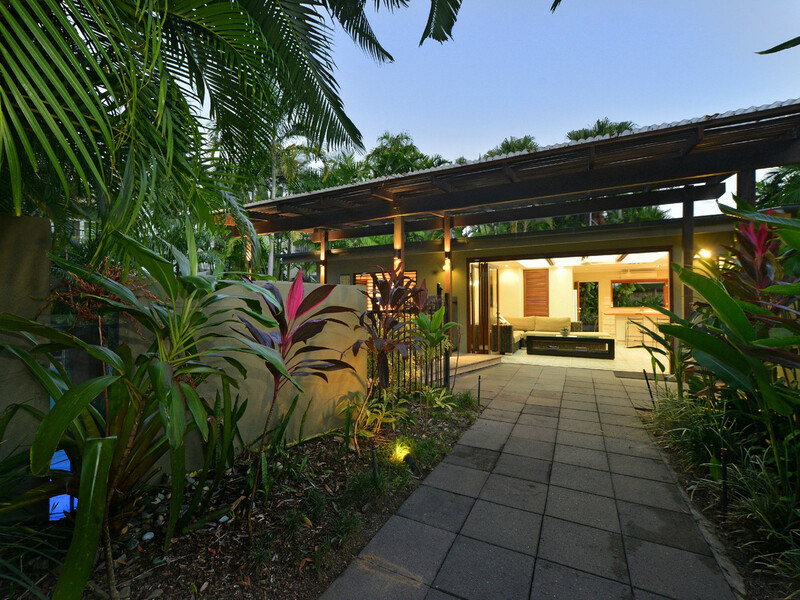 2 x Strata Titled Villas (duplex). 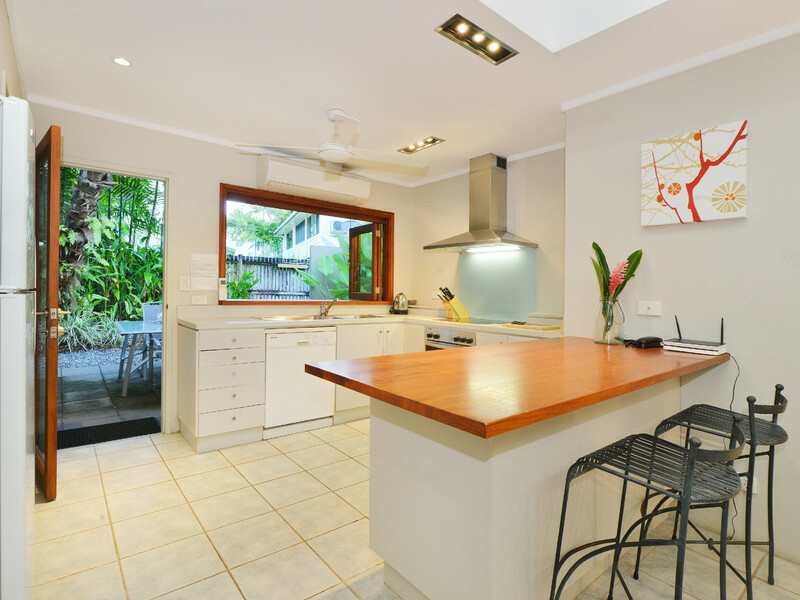 834sqm block on sought-after Garrick Street. 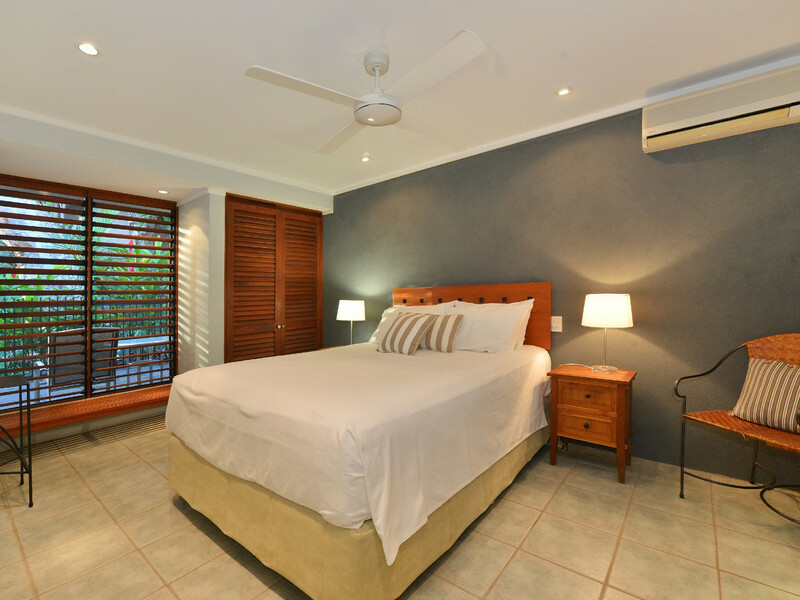 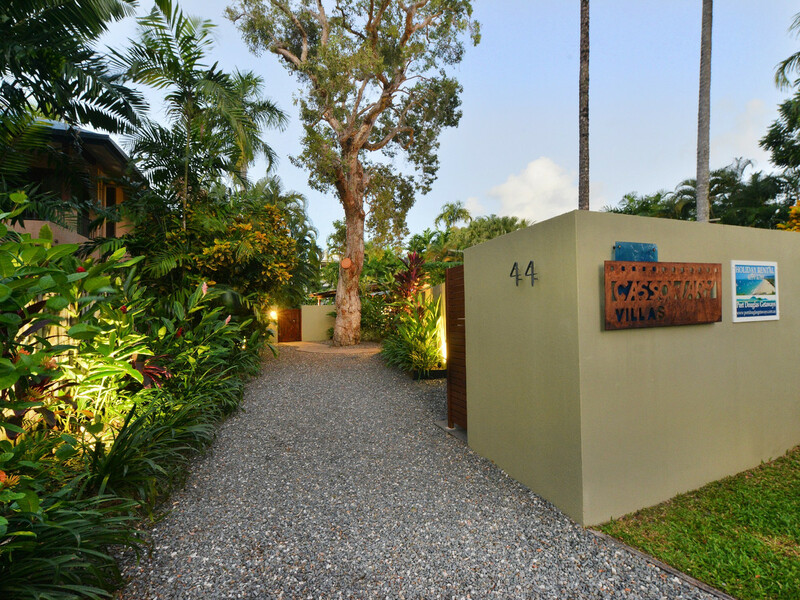 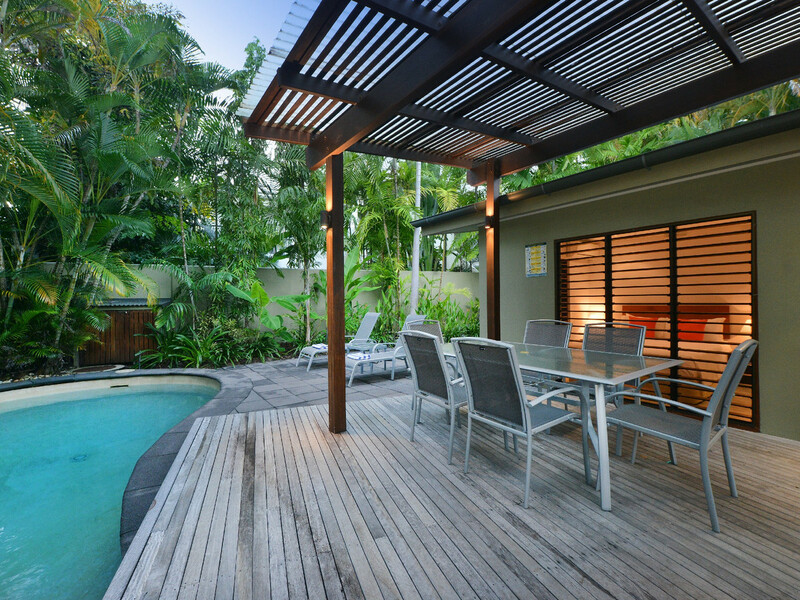 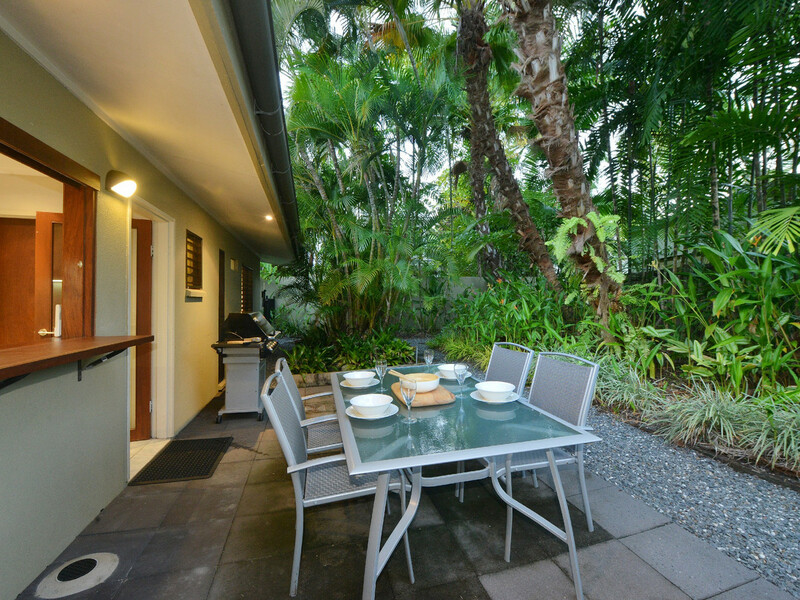 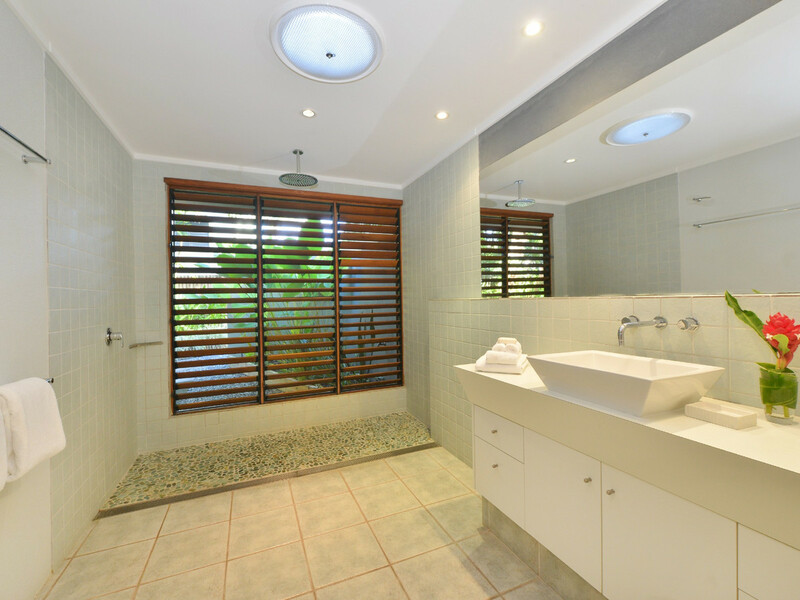 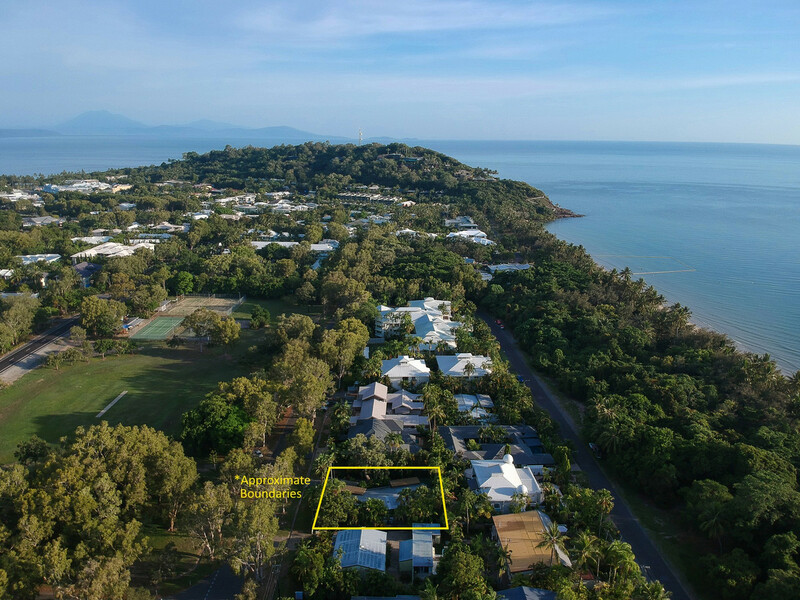 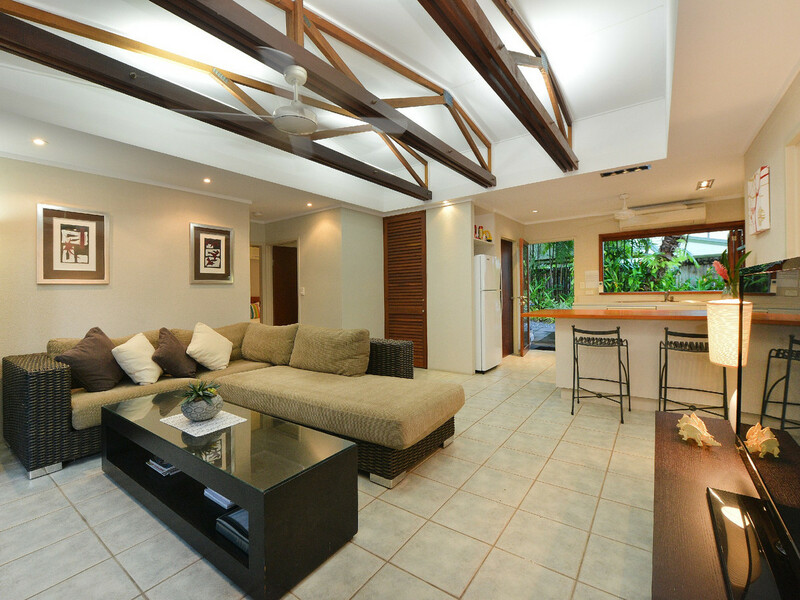 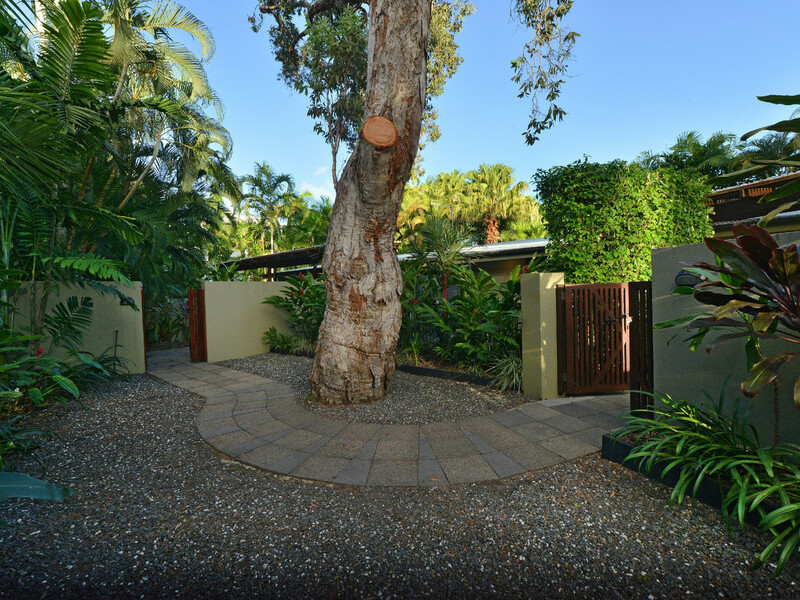 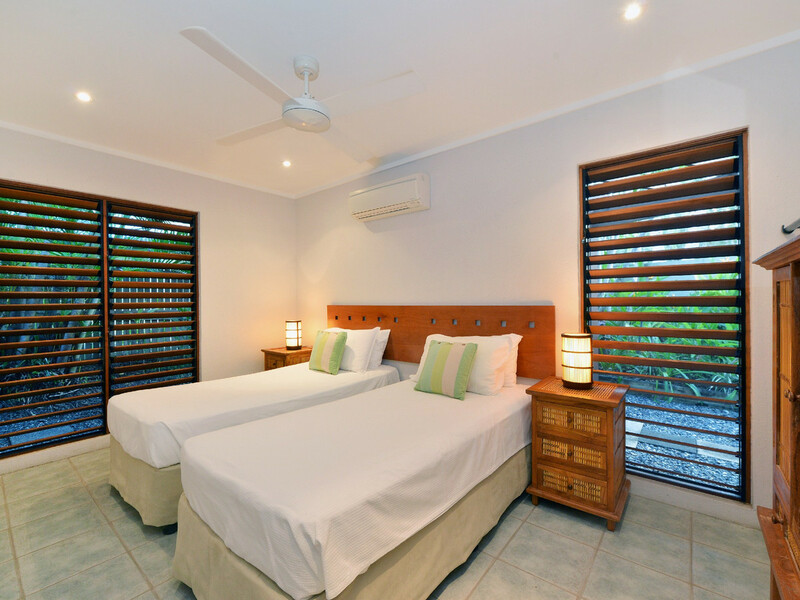 Located in one of the best positions in Port Douglas, Cassowary Villa 1 & 2 are only a two minute walk to the northern end of Four Mile Beach and a five minute walk to Macrossan Street. 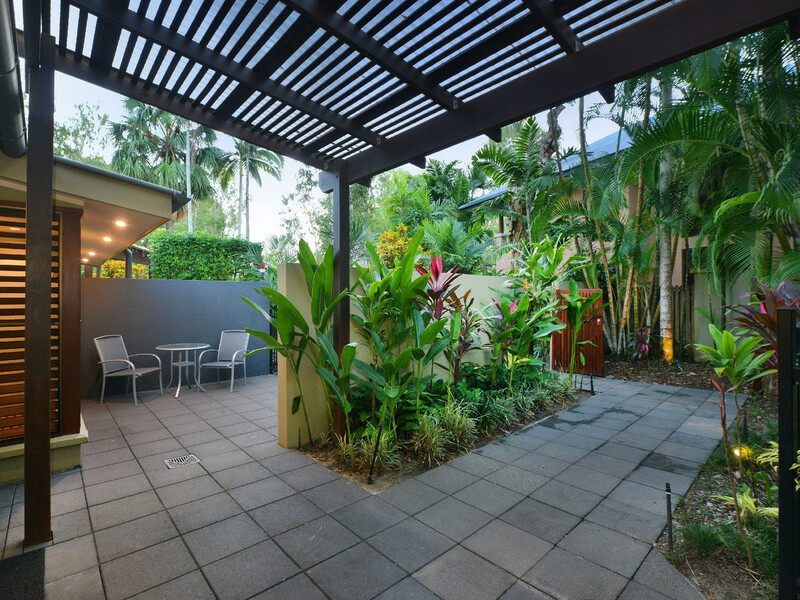 Both feature contemporary decor and tropical gardens, providing a relaxing visual focus. 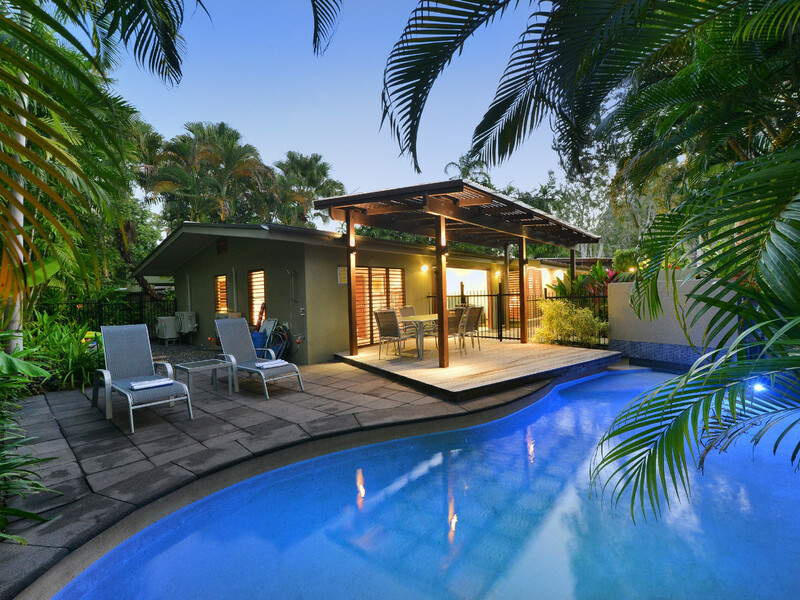 Each villa is complete with its own private heated pool. 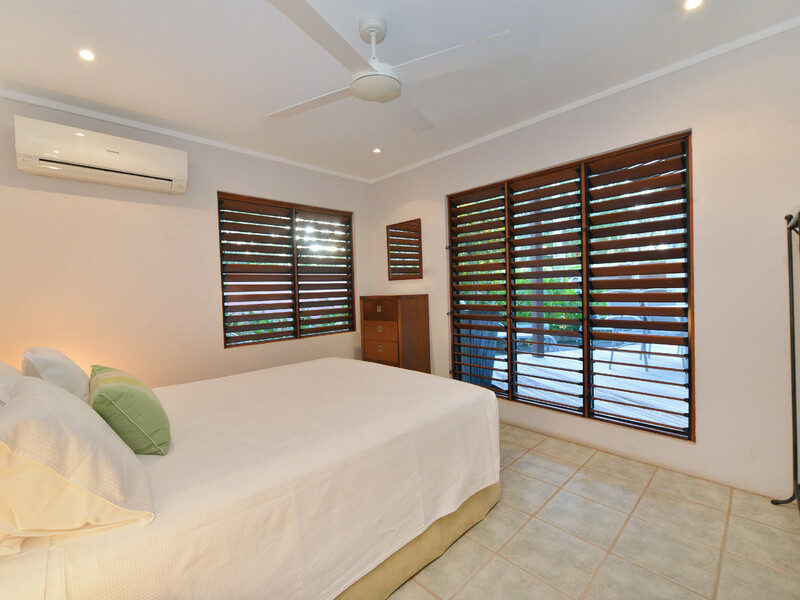 – Generous Master suites, featuring an enormous Balinese-style open shower with pebble floor detail and wooden louvers that open to a private garden. 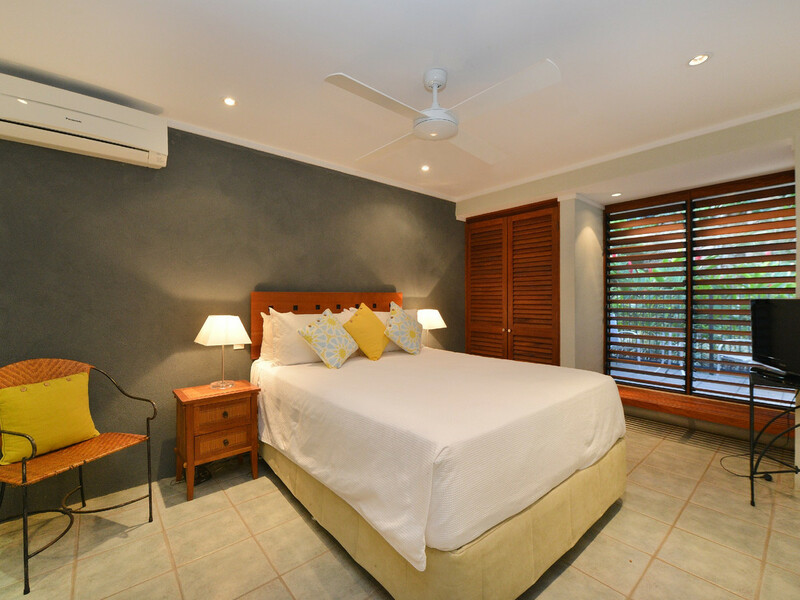 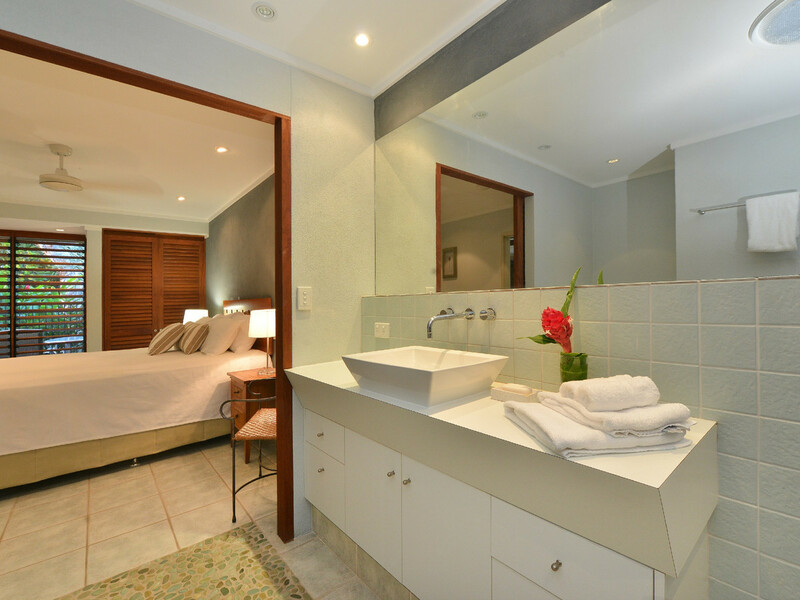 -Two Queen-sized bedrooms that share a second contemporary bathroom and have a similar outlook over the gardens. 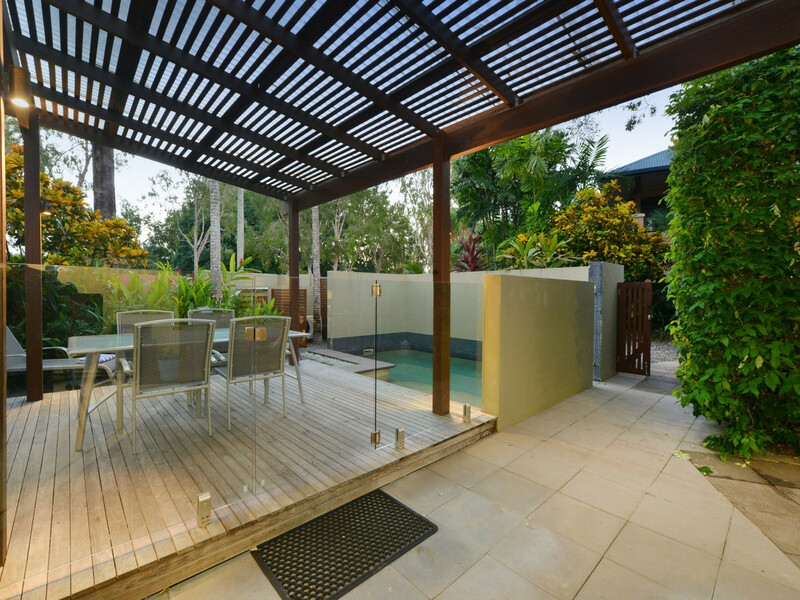 – Stylish decor which is a combination of wrought iron, timber and rattan with selective colour highlights, reflective of the tropical landscaping. 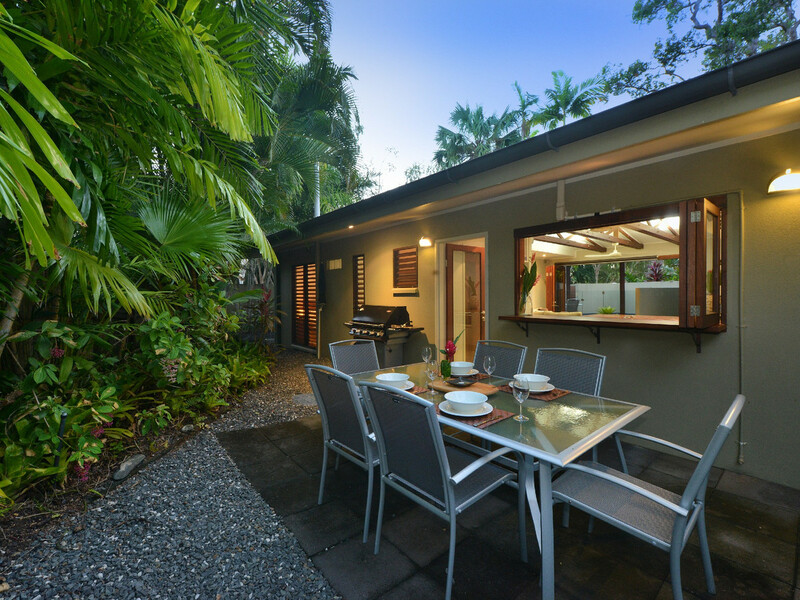 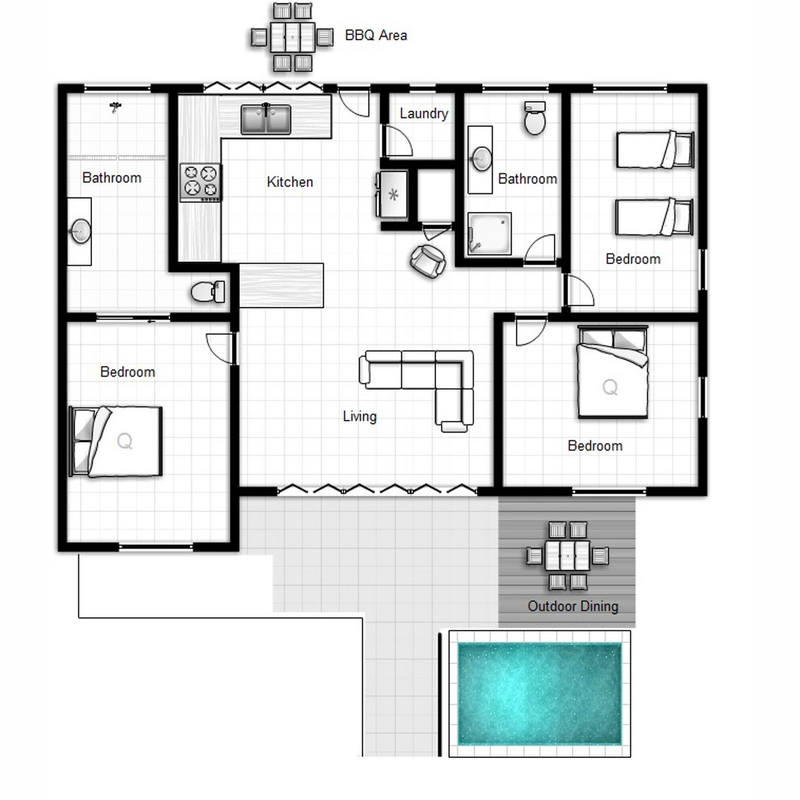 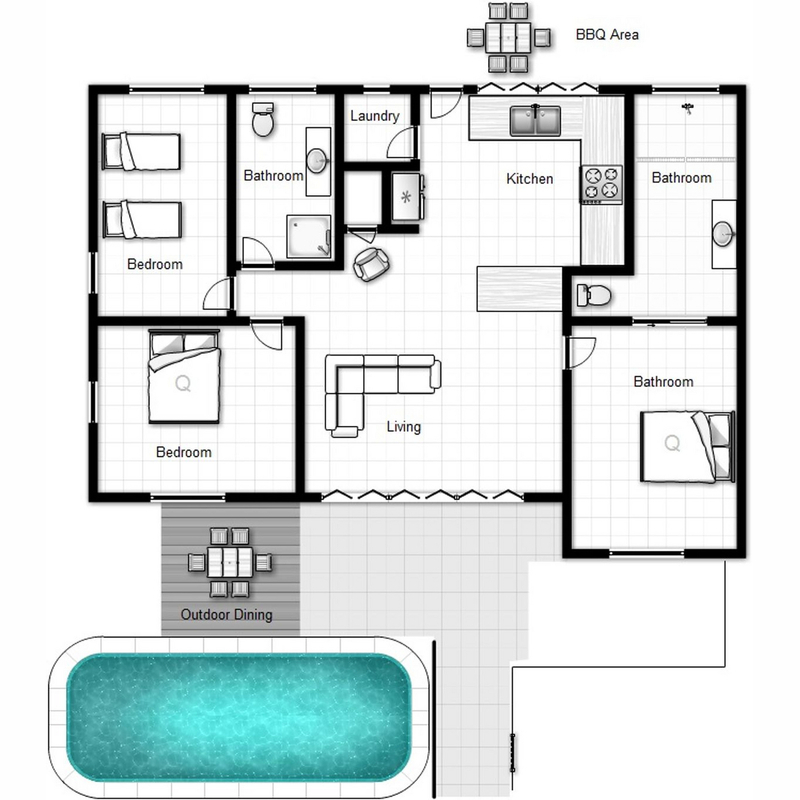 Situated directly opposite a large reserve and close to shops, the Cassowary Villas are a great choice for families and having a car is not a necessity! 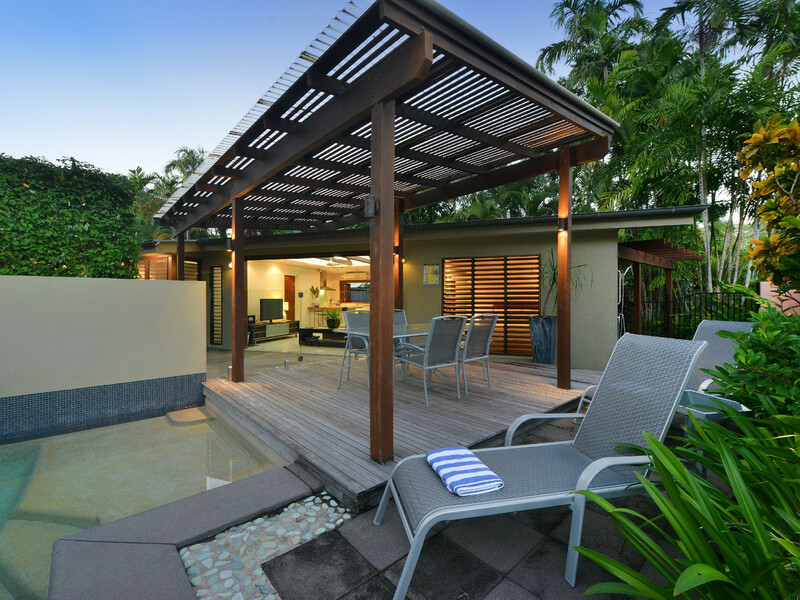 To arrange an inspection today, contact Tim Smith on 0412 673 978 or Port Douglas Getaways on (07) 4099 4789.